Visitors exploring Tubac today might find it implausible that this tiny community filled with dozens of artists’ galleries and shops possesses one of the longest, bloodiest and most volatile histories of any town in Arizona. But hints of those deadlier days abound. A small road sign announcing the Tubac exit on Interstate 19, about 45 miles south of Tucson, can easily be missed. But the flags of all of the governments  Spain, Mexico, the Confederate States of America, Arizona and the United States  that have ruled the tumultuous 250 year old hamlet on the Santa Cruz River garner attention from the highway as they snap in the breeze. In the town, the ruins of the Tubac Presidio, a Spanish garrison that became Arizona’s first state historic park, testify to the conflicts with Apaches, who so terrorized residents they fled the area on more than one occasion. Through it all, though, Tubac  the first European settlement in Arizona, once the largest town for miles, then a ghost town, a mining boomtown, and a ghost town once again  refused to give in to the prophecy of its O’Odham name, Tchoowaka, legendarily translated as "the place of rotting corpses." Recently a Pima linguist interpreted Tubac as meaning "black pool of water" or "low area," both of which seem to refer to the nearby Santa Cruz river bottom. Today some 250 people live in town with another 1,200 residing in the surrounding area. 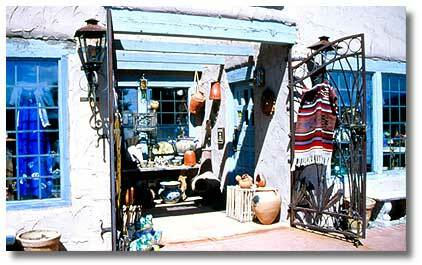 Tubac’s present incarnation as an artists’ colony began in the 1940s with the opening of Dale Nichol’s Artist School. Some forty artists traveled to Tubac to study with Nichols, and even though his school operated only a year, many of his students, such as Ross Stefan and Francis Beaugureau, stayed for a number of years before moving on. Since then, more artists, drawn by the history and scenery of this quiet little town, arrived and set up their studios and workshops. Most of the buildings now house galleries, shops and restaurantsall within walking distance of one another. On Plaza Road, visitors receive a warm welcome at the Lee Blackwell Studio. Blackwell uses copper sheets, tubing and wire to shape metal sculptures. Blackwell, often found folding, pounding and cutting his raw materials into one-of-a-kind creations, draws most of his inspiration from the natural forms he sees while hiking: the desert's agaves, yuccas and ocotillos. Sometimes he gets ideas from visitors. "That’s the good thing about having a store," he says. "You get constant input." Down the street, Rogoway’s Turquoise Tortoise Gallery showcases fine art paintings in oils and acrylic, as well as bronze sculpture and fine Native American and artisan-made jewelry. Gallery owners Jacqueline Zeitler and Deborah Barrios will be glad to welcome you and answer any questions you might have. 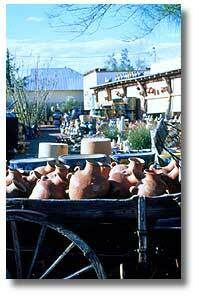 Tubac’s oldest and most revered artist, Hart Haller "Hal" Empie, passed away in 2002. He was born in Safford in 1909, and began drawing at the age of five. Empie’s impressionistic techniques make his paintings appear like memories caught on canvas. His portraits of days gone by include landscapes filled with billowing clouds and towering buttes, scenes depicting proud Indians silhouetted against a sun-streaked sky, and settings from ranches belonging to the hardy pioneers who settled Arizona territory. 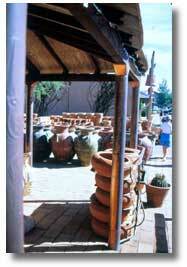 Empie moved to Tubac in 1986 from Duncan, where he had worked as a pharmacist and artist for 47 years. The Hal Empie Studio and Gallery still sits on Tubac Road along with the Artist’s Daughter shop, where Empie's daughter Ruth Anne Groves manages her father’s "Empie Kartoon Kards." Empie originated the designs in Duncan in the 1930s and created more than 250 postcards over 40 years. In the 1980s, Groves republished 50 of her father’s black and white designs, which she markets worldwide. The original Empie Kartoon Kards are preserved for future generations in permanent archives at the Syracuse Library in Syracuse, New York, and the Arizona Historical Foundation in Tempe. The Hal Empie Studio and Gallery is dedicated to his work. The gallery searches for, buys, and consigns original art works by Hal Empie, so stop by if you visit Tubac. Plenty of other studios, shops and galleries await the visitor’s attention, but don’t miss the Tubac Center of the Arts, built in 1972, which showcases the works of a number of artists. The center, open from September to May, provides prime gallery space for members to display their work. Other galleries for non-members in the airy building exhibit a wide variety of works in national and regional juried shows. Not all of the buildings lining the cobbled sidewalks in Tubac shelter artists. Small markets supply the locals with necessities between monthly shopping trips to Tucson. The Tubac Historical Society, a fire department and the McCollough Regional Health Center complete the town’s facilities. Local disputes are handled by Santa Cruz County due to the lack of any city government. The Tubac Historical Society’s research library can be accessed in a small pink adobe across from the presidio. "There is a listing of every family name that ever resided in Tubac up until the 1980s," says Mary Bingham, former librarian for the society, who oversaw the computer cataloging of more than 3,000 books and documents on Tubac’s history. "A lot of people from California come here to trace their family tree from Anza’s trek to San Francisco in 1776. They come out of curiosity, not actually expecting to find anything, and are surprised to discover their family roots in this little village." Presidio Captain Juan de Anza II led two exploratory expeditions to the Pacific coast, searching for an overland route. After first successfully traversing the harsh wilderness to the newly established missions in Alta California in 1774, Anza recruited 240 colonists for another overland trek two years later. This second expedition resulted in the settlement and colonization of what is now San Francisco. Tubac’s few thoroughfares bear the names of its pioneer families, including Burruels and Oteros. The Otero family’s land grant is now the location of the Tubac Country Club, where the Kevin Costner movie Tin Cup was filmed. Bingham points to a quaint shop across the street from the historical society and says, "The Hugh Cabot Studio is the original home of Elias Pennington and his family, built in the 1860s. His young sons had to guard their sisters [against Indian attacks] with shotguns when they went to the spring for water." Descendants of some of the presidio’s original families still live in the area. The Oteros, one of the first families assigned to the presidio, retain ties to Tubac. Leonardo Otero, whose great-uncle, Sabino Otero, established the Tubac town site in 1882, returned to build a house in the area after a 50-year absence. Born in Tubac with the help of a midwife in 1923, Leonardo continued to document his family’s long history. "It was passed person to person," he said. "Not much of it was written." The Otero family established farming and ranching in the valley and is well-known in a town noted for civic work. Of his family’s fight to survive Tubac’s tumultuous history, Leonardo said, "This was no-man’s land here, even after Arizona became a state." Walk along the banks of the gentle Santa Cruz and then lunch at a café such as Shelby’s Bistro in The Mercado. You can enjoy a delicious Provencal pizza while seated on a patio with a copper iris fountain, a nice break between browsing shops and exploring the presidio and its violent beginnings. In the aftermath of the Pima Revolt and facing the continuing Apache threat to their missions in the area, the Spaniards founded the Tubac Presidio in 1752. Troubles with the Apaches continued, though, putting the Spanish to flight not once but eight times. By 1854, when the United States acquired Tubac through the Gadsden Purchase, the presidio lay in ruins. Later a flurry of mining activity pumped in new life and bumped the population to an astounding 1,000 plus, but when the Civil War took the presidio troops east to fight, the Indian raids increased, once again routing the residents. During this period, Tubac was  for about three months  part of the Confederate States of America. Following Appomattox, Tubac revived yet again, but still faced the threat of hostile Apaches until Geronimo’s surrender in 1886. Its next heyday wouldn’t come until the artists arrived 60 years later. The presidio’s foundation remains buried and preserved below ground. Worn steps lead down into the deep recesses of the earth to show a cross-section of layers of ash and debris that delineate the different phases of the presidio’s violent history. An adjacent underground museum takes visitors on a trip through Tubac’s past, with exhibits that include remnants of military occupation, cases filled with Spanish armor, Apache weapons and Mexican saddles. Joe Martinez grew up exploring the presidio while his father, Luis, was the park manager. When Luis retired in 1992, it seemed natural for Joe to take his place as manager of the presidio. "Coming to work here was like coming home," Joe says. "It’s like being in my back yard." The Martinez family has lived in nearby Tumacacori for more than 100 years. 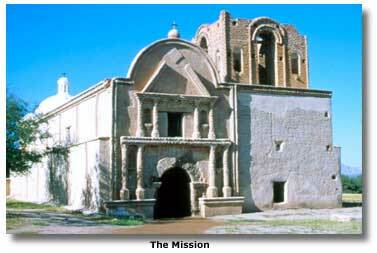 The town’s mission, established in 1691 by the Jesuit missionary-explorer Eusebio Francisco Kino, served as the region’s religious headquarters until Indian raids finally forced its abandonment in 1848. A national historic park today, the mission holds a bell that still tolls for special occasions and living history presentations. Visitors to the beautifully preserved Tumacacori Mission search its high adobe walls for faded paintings of the 12 apostles. Other highlights on the self-guided tour include a walk through the gardens, the cemetery behind the church, and the unfinished mortuary chapel. The 4.5-mile Juan Bautista de Anza Trail, originally the starting point for the presidio commander’s California expeditions, today is a popular hiking trail that connects Tumacacori to the presidio. The trail crosses the Santa Cruz River twice with stepping-stones at Clark’s Crossing and a foot bridge behind Tumacacori. The willows and cottonwoods lining the riverbanks provide prime habitat for wildlife, including raccoons, Gila woodpeckers and sage phoebes. In the fall, varying shades of gold in the leafy canopy reflect in the slowly meandering river. As youngsters, Martinez and his sister and brothers often traipsed along the trail. "We were always down there splashing through the water, lying under the trees or just having a picnic," he recalls. "That’s where we played when we were kids." Nowadays, Martinez enjoys his job at the presidio, especially the historical reenactments. Members of Los Tubaquenos, a local group steeped in the history of the garrison, don period costumes and present scenes that reflect life at the garrison. Martinez kicks off the reenactments  held Sundays from October to March  by firing a cannon precisely at 1:00 p.m. "People get a bang out of it," he said with a grin. But by Monday, the Spanish armor and 18-century garb are replaced by smocks and aprons as local artisans and shopkeepers settle back down into their daily roles. Tubac may be known as "The Place Where Art and History Meet," but it’s clearly the people living there who keep the town's indomitable spirit alive. Tubac is 45 miles south of Tucson, off Interstate 19. Tubac Presidio State Historic Park is open daily except Christmas from 8:00 a. m. to 5:00 p. m. Admission $5 adult, $2 youth (7–13), children free (0–6).For more information, call 1-520-398-2252. Tumacacori National Historic Park is three and one-half miles from Tubac on the frontage road. The park is open daily except Thanksgiving and Christmas from 8:00 a. m. to 5:00 p. m. Admission is $3 per person or $4 per carload. For more information, call 1-520-377-5060. There are resorts, hotels and motels in Nogales with something for every taste and price range. 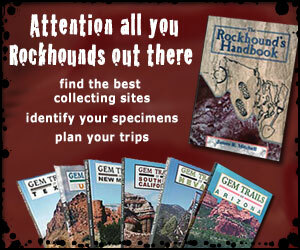 For more information and a complete list. Click on city for rates, availability and reservations online.